The intermediate students had another fantastic year with fundraising for the American Heart Association. 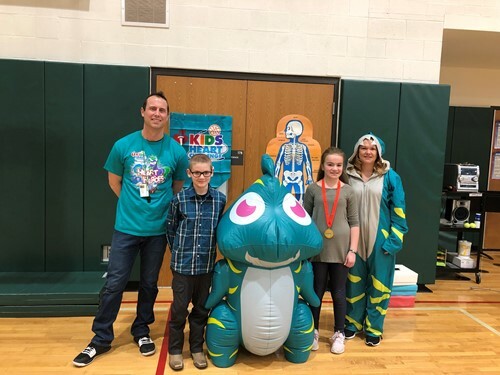 66 students participated in the Kids Heart Challenge raising a new school record of 8,290.05! Together these 66 students saved 165 lives. Eight of the top fundraisers shared their heartfelt reasons why they participated at the April student assembly. Macie Browning $695, Gabe Merrill $665, Logan Roth $531, Levi Crumb $ 455, Paxson McCumiskey $280, Caleb Tennant $215, and Ahraya Whitt $200. Congratulations to all of our participants and thank you to the Greene community for supporting our efforts with the AHA and the fight against heart disease!